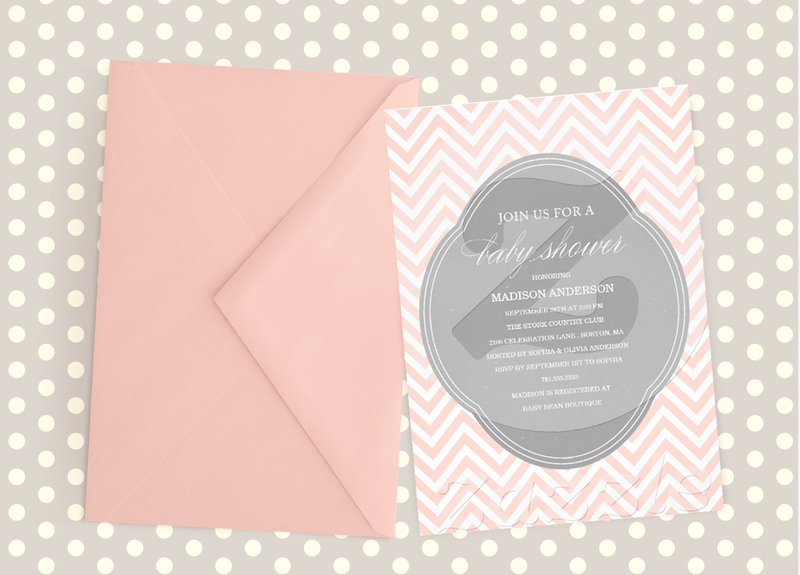 Sweet Grey and Pink Baby Shower Invitations - Oh So Girly! A lovely white china teacup overflows with pretty pink flowers with a personalized teabag just for her. 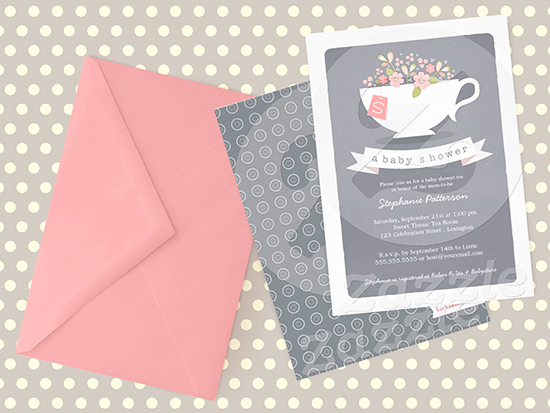 All in a fanciful pink, white and soft dove gray color scheme, this Baby Shower Tea Party invitation is sure to please. 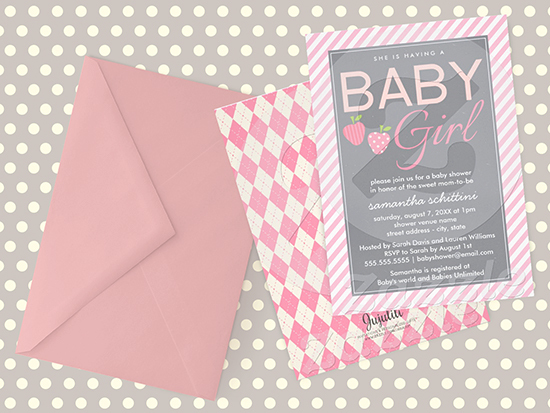 Elegant, modern design featuring pink, light pink and grey colors in diagonal stripes and cute argyle patterns. Illustrated by two strawberries.